This is the second of two blogs, mainly for CPRE members, on the composition of the new government. The first can be found here. The appointment of Elizabeth Truss as Environment Secretary in 2014 was greeted with little enthusiasm by environmentalists. She did not enter the role as a committed environmentalist, but she was willing to engage – for instance, hosting a CPRE seminar on landscape – and she pushed forward the 25 year plan for nature with conviction. Liz Truss also deserves thanks for approving the extension of the Lake District and Yorkshire Dales National Parks. I wish her well in her new role as Lord Chancellor. A number of CPRE members have asked what we should make of the new Government. What follows is largely for them. It is rather more hopeful than some commentaries from environmentalists. No government will do everything campaigners want – governments cannot achieve what they want, let alone satisfying everyone else. But Ministers, learning on the job, can confound expectations. I gave initial thoughts on Theresa May as Prime Minister in an earlier blog. Whatever one thinks of the decision to leave the European Union, in one respect at least, it presents a great opportunity. For 30 years during and after the war, the purpose of UK agricultural policy was to increase food production. Since 1973, farming policy has largely been decided in Brussels. Now we have the chance to fashion our own farming and land management policy for the twenty-first century. England’s countryside is in large measure the product of farming. Those who manage the land should be rewarded not only for the crops they sell, but also for ‘public goods’ such as flood management, carbon capture, promoting wildlife and, yes, maintaining and enriching beautiful landscapes. Congratulations to Theresa May on becoming Prime Minister. What follows is a brief overview of some of Mrs May’s stated views as they relate to CPRE’s work. Over the next week I will write about other appointments and departures, and look at some of the main challenges the new government faces, notably fashioning a new English Agricultural Policy and tackling the housing crisis. For someone so prominent in British politics, it is surprising how little we know about Theresa May’s views. As a recent article in the Financial Times (£) puts it: “In her 19 years as an MP, Theresa May has made a habit of sticking to the party line and her brief, rather than laying out broad political views.” This stands in striking contrast to at least one of her recent appointments. But we do know that Theresa May has been an assiduous MP for Maidenhead, supporting local campaigns to improve the town and protect the countryside around it. Indeed, she gave a well-received speech at last October’s CPRE Berkshire AGM, though she was careful to stick to the Government line. Her website celebrates Maidenhead’s “beautiful surrounding countryside” and she enjoys village life, recalling on Desert Island Discs “many happy evenings in the… village hall with friends”. Cheeringly for CPRE supporters, her website has the following section on planning and development. 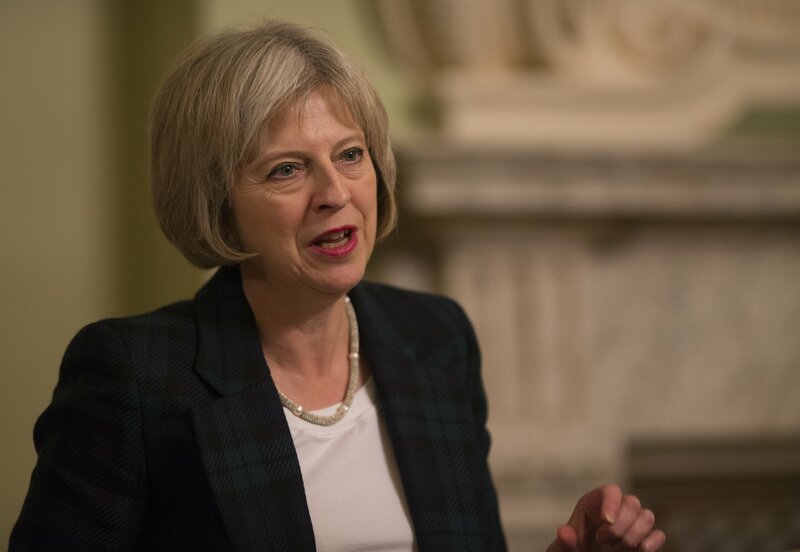 Theresa May speaking at CPRE Berkshire Branch AGM on 23rd October 2015. This blog that follows is one of a number of essays prompted by Labour: COAST & COUNTRY’s Rural Housing programme. The full collection of essays will be published in the autumn. What is rural England for? There is no clear answer to that, certainly no government policy, and I guess many people will think it a stupid question. But it is hard to plan for the future of the countryside if we do not know what we want from it.